Only one month remains in 2018, but you still have time to think about your 2018 taxes. Consider if these tax planning items could affect you and your family. Will you claim the standard deduction or itemize in 2018? The standard deduction has gone up to $12,000 for single filers and $24,000 for married filing joint. This means many taxpayers will no longer itemize. “Bunching” involves making larger charitable donations or prepaying your state income and real estate taxes (if you are under the $10,000 limit) every other year. Use a donor advised fund (DAF) to make a large charitable donation in one year so you can itemize. Use your DAF to make donations to your favorite charities in years you claim the standard deduction. Donate appreciated stock held at least one year to escape tax on the appreciation while getting a charitable deduction for the market value. 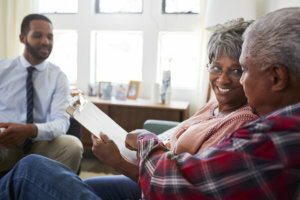 If you are 70 ½ and take your required minimum distribution (RMD) from an IRA, consider a Qualified Charitable Distribution (QCD) to your favorite charity. You won’t owe tax on the RMD and it’s especially beneficial if you claim the standard deduction. Make safe harbor tax payments for 2018. The tax rates are lower, but have you paid in enough tax in 2018? Check your federal and state tax withholdings before year-end. Compare them to the 2017 amounts. New withholding tables may mean you are under-withheld. The IRS has a tool to help. Review your investment portfolio before year-end. Are there any loss positions that should be sold before year-end to offset gains? Maximize your employer benefits. Max your retirement plan contributions, fund health savings accounts, use up your flexible spending account and reimburse child care using your dependent care benefits. 529 plans can now pay for elementary and secondary school tuition (limit $10,000 per year). No (or very little) taxable income in 2018? Consider a Roth conversion of your IRA, but be sure, as you can no longer “un-do” a Roth conversion. Have your estate planning documents been reviewed in the last few years? The annual gift exemption is $15,000 per person in 2018 and 2019 and the estate tax exemption is $11.4 million per person or $22.8 million per couple. The very high estate tax exemption amounts may mean changes are needed to your planning. Take advantage of the Arizona $1 for $1 tax credits. You can benefit your favorite school and charity and offset your Arizona tax. **Change in 2018** Donations made for AZ tax credits no longer qualify as a charitable tax deduction on your federal tax return as of August 28, 2018. See our blog for more details. There’s a lot of tax changes to consider for 2018 and smart tax planning before year-end could help you save.